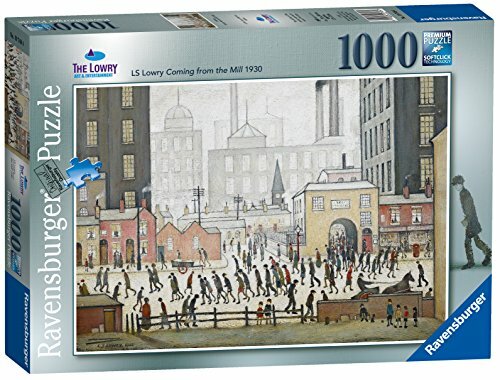 Lowry described this painting as his “most characteristic mill scene”. 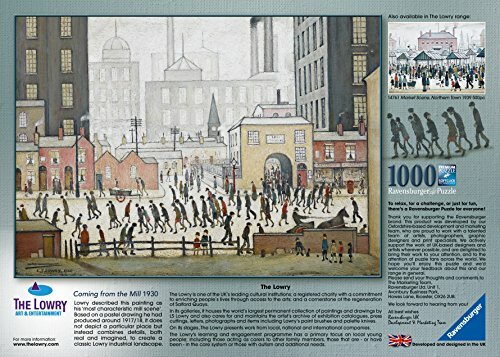 Based on a pastel drawing he had produced around 1917/18, it does not depict a particular place but instead combines real and imaginary details which combine to form a classic Lowry Industrial landscape. 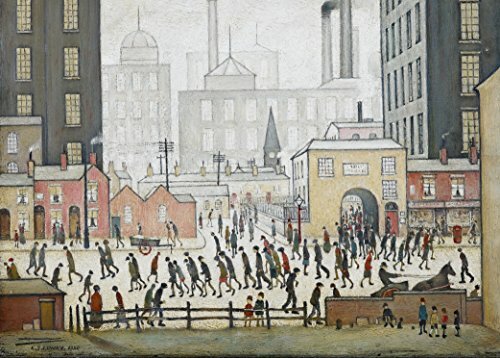 The Lowry, based in salford quays, houses the World’s largest permanent collection of paintings and drawings by L s Lowry. About the artist. Laurence Stephen Lowry, rba, Ra (1st November 1887-23rd February 1976) was born in stretford and he spent much of his young life in rusholme. In 1909 his family moved to the Industrial town of Pendle bury, which became the inspiration for many of his paintings. High quality 1000 piece cardboard jigsaw puzzle. The finished puzzle measures 70 x 50cm when complete. Suitable for ages 12 years and up. Made from strong premium grade cardboard, with linen finish print to minimise glare on puzzle image.Coming from the Mill 1930. Lowry described this painting as his ‘most characteristic mill scene’.